Document translation is often a complex procedure involving deep expertise in the industry. Every other type of document requires specialized vocabulary. Thus, a degree in translation and language fluency doesn't always guarantee a person will be a good translator for this purpose. Here the PickWriters' team has collected services that follow a strict quality control and management system enhanced by an amazing track history. Straker specilizes on complex translation, editing and proofreading service for business. They have no competitors when it comes to outstanding clarity and accuracy of translation. If the translated document is to be published or used for legal purposes, Straker is among the top 5 companies to consider for cooperation. Day Translations offers all types of certified translation service. Their work stands out in terms of transparency and precise planning. They really take time to ensure their customer fully understands the specifics of the given translation and realizes where the project stands at each stage of work. Universal Translation Services company is an ATA member, so you can expect to get a certified translation. The number of languages they work with is impressive, and their offices are located in all major cities across the USA. Morninside Translation offers you a free consultation on what kind of certified translation you need. Their main focus is legal translations and their certified translators are a legal record in state courts. Certified translation service was the first one in the list of Rush Translate. Now they offer certified document translations for any document type in more than 60 languages. Their clients are large and small companies in a variety of industries: finance, legal, medical, academic and others. TheWordPoint is a skilled international translation company that provides certified translations at favorable prices within the shortest deadline. They offer various types of certified document translation in a wide selection of languages. From marriage-divorce certificates to business paperwork - you can count on them. 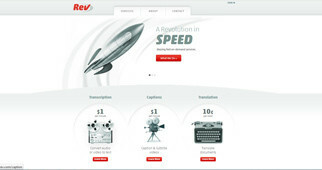 Rev.com aims for a long-term relationship with their customer. They are among the minority that have a fixed price system and they take their time to address any issue that arises during the work process. JR Language company focuses on immigration, educational and legal papers translation. They claim their translated documents have a 100% acceptance rate in U.S. institutions. Also, the average time of a project competion of JR Language is up to 3 days. TransPerfect takes pride in their TLC certification program they use for regular testing of their employees. They combine translation with localization services, ensuring that the slightest nuances of the original message are conveyed intact. One Hour Translation is among the largest translation companies in the world, having a community of more than 20,000 professionals working in 3000+ language pairs. You can trust them with anything starting from a memorandum to a manual. In short, a certified translation is any document that is accompanied by a signed statement from the translator, stating that the translation is complete and accurate. It should also be understood that any individual translator or any translation service can “certify” a document in this way. This should not be confused with a “certified translator.” For a specific translator to be certified, s/he has usually passed a certification exam in one or more countries. Many organizations, such as the American Translation Association, offer certification exams in a number of languages. But a translator does not have to be “certified” to certify translations. Yes, there is a difference. While certification simply attests to the fact that a translation is accurate, to the best of the translator’s knowledge, a notarization is an official certification that attests to the identity of the documents and/or the individuals who have sought those documents. Notarizations are required by governments and institutions in a number of instances. In addition to governments, educational institutions will require certified, and often notarized, translations of diplomas and degrees, transcripts, and even course descriptions. This requirement is typical when students wish to enroll in a college or university in another country. There is no such thing as a certified translation agency. An agency may have certified translation professionals on its staff, and it will be able to supply the necessary certification of a translated document. What you really want is an agency that will provide certification testaments and notarization, when required. What is their track record of acceptance by governments and institutions? Do they have individual customers who have used their services and are satisfied with what they received? Will they give you contact information for some of these individuals so you can check references? Do they have certified translators who have passed exams in your target language(s)? Do they have notaries on board, in case notarization is required? Do they use only manual translators for these types of documents? This is pretty critical, because absolute accuracy is necessary. Machine translation technology is just not good enough yet. Will they provide a second translator to review and edit the original translation? Can they meet urgent deadlines in case you need a really rapid turnaround? Other avenues of researching the best certified translation services are also available to you. There are translation service review sites that can provide objective, honest reviews that include feedback form actual customers. Checking these out will give you additional information that an agency may not want to give you. Given the amount of global travel today, individuals and entire families are relocating to foreign countries, for a variety of reasons. As well, families are adopting children from all over the world. People living in foreign countries get married, get divorced, and, unfortunately, even die and have wills. When they return to their own homeland, moreover, let’s say to the U.S., they will need certified English translation of any document that was prepared overseas in a foreign language. As the demand for these services increase, so will the number of translation agencies. Many of them will be launched quickly in order to try to get a share of this growing market. Be certain that if you consider any translation agency, you find how long it has been in business. Those who set up shop quickly will not have had the time to find truly professional and experienced translators. This, you do not want. Do your research, ask the right questions, and carefully check out any agency you are considering. Personal certified document translation is just too critical to leave anything to chance.